Gone are the days when anything more ‘adventurous’ than a White shirt was not socially acceptable in any working environment. Today the White shirt has taken a step back whilst the Blue and Pink shirts become a sartorial statement in the workplace and claim their status as the alternative ‘White’ shirt. Wearing just the one thing every day of the week may sound like a very appealing requisite to some men but for those who seek a little more pizzazz out of their daily wear then sometimes a plain White shirt just won’t cut it. Dedicated to helping gents in making the ‘clever choice of shirt’, Thomas Pink pride themselves in offering every shirt. With shirting patterns drawn from their Jermyn Street heritage they offer a wide range – from the more modest to the more eccentric fashion shirts, you’re spoilt for choice with a selection of fits, styles, colours and prints. Below are a just a few tips on how to perfect the Spring work look with a Pink or Blue shirt. Although a black suit will always be the king of classics, a Grey suit works wonders by revitalizing your work wardrobe and making you look Spring/Summer ready. Not to mention that Pink and pale Blue tones go best with Grey or Navy. Not only is it a big trend for the season but colour clashing your shirt with your accessories is an easy and uncommitting way of adding some colour and personality to your look. Depending on your style, taste and nerve, you can play around with the endless options of shirts and accessories. For example, Pink compliments colours such as Burgundy, Grey and Navy and Blue goes hand in hand with brighter colours such as Red, Orange and Pink. Finding the right fit of shirt is arguably the most essential factor when buying a shirt – a well-fitted shirt will look great, regardless of colour. Thomas Pink offer a selection of different fits including slim, classic and athletic. When picking colour tone, keep in mind that lighter tones such as pastel Pink or light Blue are likely to be more complimentary to fair skin, whereas darker tones such as Navy are likely to be more complimentary to darker skin. If a White shirt is synonymous with classic and simplicity, then sporting a Blue striped shirt or Pink check shirt will effortlessly translate to ‘confident’ and ‘adventurous’ before you even speak a word. 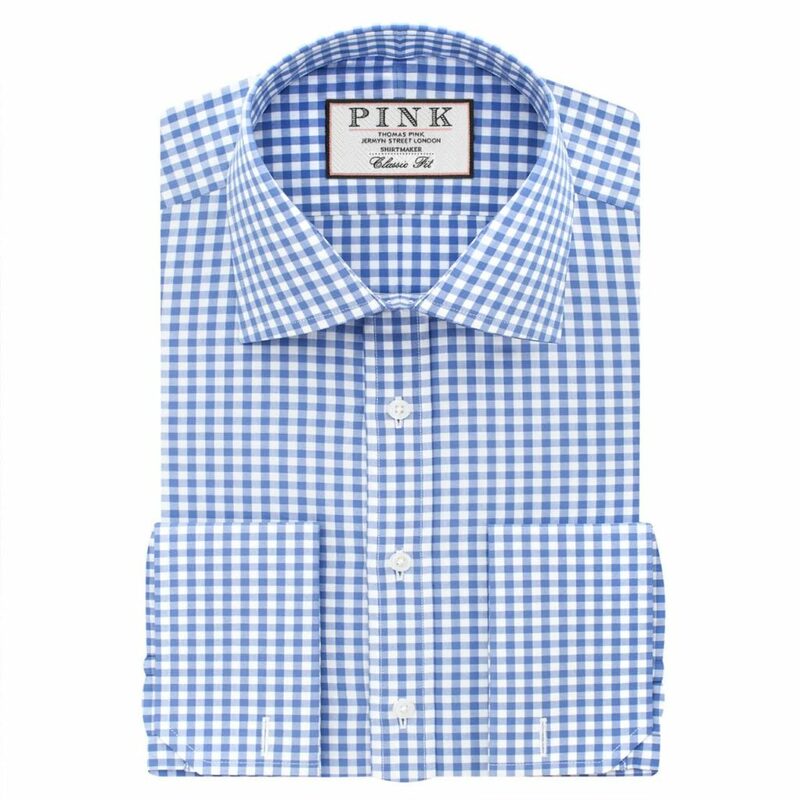 Thomas Pink are all for being able to make a statement when doing business, with your shirt alone. From the ‘Bulldog’ to the ‘Sterling’, head over to www.thomaspink.com to pick your next alternative ‘white’ shirt that will be guaranteed to set you apart. Thomas Pink was founded in London in 1984 by the Mullen brothers, whose founding inspiration was the history of Mr. Pink, the 18th century tailor credited as the originator of ‘hunting pink’ – referring to the scarlet jackets of hunt staff. The Mullen brothers appreciated the fundamental quirk of British humour that something so obviously red could be referred to as Pink. This quirk so appealed to them that they saw it as a tension right at the heart of the brand they were founding – namely a men’s brand called PINK – an obviously feminine colour. Moet Hennessy Louis Vuitton acquired the brand in 1999. 2015 saw the Jermyn Street shirt maker extended its’ popular ‘Personally Pink’ Made To Order service. An extensive choice of more than 160 fabrics span long staple Egyptian cottons, Sea Island cottons, linens. and fine cotton poplins in two-fold 100s, 120s, 170s, 200s and 300s. The service also encompasses options for evening and special occasions. The shirts are made in the United Kingdom and delivered back to clients within three weeks. Final details include a choice of buttons as well as monogramming and engraved collar bones. The ‘Personally Pink’ Made To Order Service is available at Thomas Pink’s London flagship store on Jermyn Street as well as in Heathrow T2, Sloane Street, Blomfield Street, Canary Wharf and Selfridges. 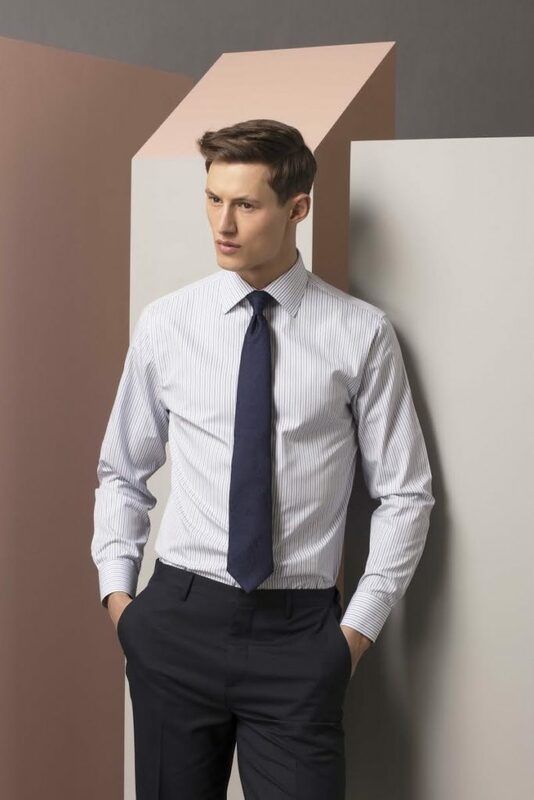 Today, Thomas Pink is a modern British shirt maker with over 100 stores worldwide and flagships in London’s Jermyn Street, Madison Avenue, New York and Rue Francois Premier, Paris. Good contribution! There are always alternatives, dress well alone is a matter of good taste and a little extra help. ?